Cleaning Rod for 16" 7.62x39 AK-47 rifles. .. Broken shell extractor 7.62x39 AK-47 rifles, most likely Romanian. 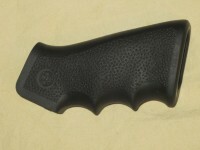 ..
Bulgarian black bayonet + scabbard for AK-74 type rifles. 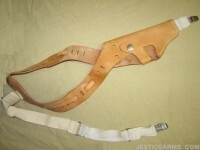 It is circle ten marked and in good s..
CZ-82 Shoulder Holster. It will also fit a Polish P-64. 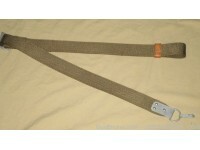 Condition varies from good to very g..
Czech military surplus brown leather mag pouch in fair-good condition. 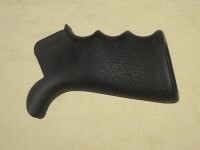 It will h..
Black Hogue rubber overmold pistol grip for AK-47 type rifles. ..
OD Green Hogue rubber overmold pistol grip for AK-47 type rifles. ..
Black Hogue rubber coated pistol grip for AR-15 type rifles. This is the best grip anyone could..
Black Hogue rubber coated pistol grip for AR-15 type rifles. It has finger grooves and beaverta..
Ghillie green Hogue rubber coated pistol grip for AR-15 type rifles. This is the best grip anyo..
OD Green Hogue rubber coated pistol grip for AR15 type rifles. 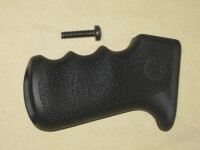 ..
Black Hogue rubber coated pistol grip for CZ-75 type pistols and clones. ..
Magpul Zhukov AK-47 / AK-74 side folding stock. It features a folding, collapsible stock with QD sli..
Magpul CTR collapsible stock for AR-15 type rifles with milspec buffer tubes. No box included o..
Magpul CTR collapsible stock for AR-15 type rifles with milspec buffer tubes. ..
Magpul MBUS FDE Gen 2 flip-up back up front sight. It will fit any standard 1913..
Set of Magpul MBUS black gen 2 generation flip-up back up sights, both front and rear. The..
Set of Magpul MBUS Pro flip-up offset sights, both front and rear. They will fit any ..
Magpul MIAD mission adaptable flat dark earth pistol grip for AR-15 type rifles. ..
Magpul MOE collapsible stock for AR-15 type rifles with milspec buffer tubes. 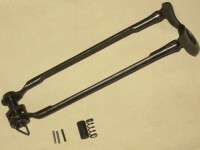 Available in: ..
Magpul SL collapsible stock for AR-15 type rifles with milspec buffer tubes. ..
Polish AK-47 green sling with leather keeper. The importer advertised it as canvas, but it could be ..
Romanian underfolder stock with hardware as pictured (rear trunnion is not included). 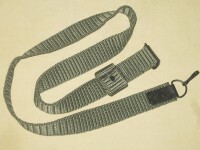 Thre..
Romanian green nylon AK sling in new condition. 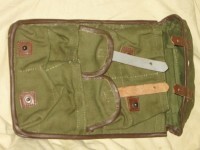 It will fit most AK, AK47, AK74 type rifle..
Canvas mag pouch for Romanian PSL magazines. It will hold four 7.62x54r 10 round magazines and ..
Romanian Cleaning Rod for 23" 7.62x39 RPK / AES-10B rifles. ..
Russian surplus AK-47 green sling with leather keeper. Very good condition, Russian marking varies. ..
Black Russian Izhmash AK-74 lower & upper handguards. They do not have heat shields. T..
Russian AK-47 green sling with black leather keeper. It appears to be new production, style, mark..
Russian Izhmash bakelite bayonet + scabbard for AK-74 type rifles. 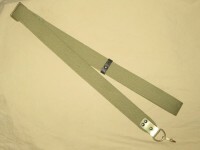 It is Izhmash marked and in very ..
1 Single Point Sling •Made of Nylon •Durable Bungee System •Available Colors: TAN, GREEN, B..
Surplus, condition varies from fair to good. May be coated in cosmoline. 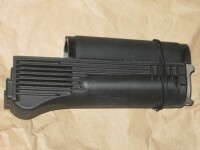 ..
Yugoslavian black polymer pistol grip for AK type rifles in fair to good, surplus condition. 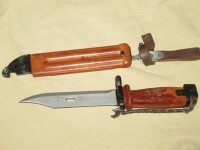 It..
Bulgarian bakelite bayonet + scabbard for AK-74 type rifles. It is circle ten marked and in fair to ..
U.S. made single point sling adapter mount for AK type rifles. 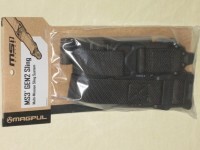 This is made for the Draco but should..
Magpul MS-3 multi-mission gen 2 sling •Available Colors: Black, Coyote, & Ranger Green ..
Romanian surplus brown leather sling in good to very good condition. 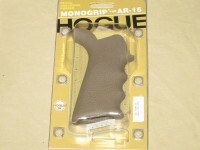 It will fit most AK type r..
Flat dark earth Hogue rubber coated pistol grip for AR-15 type rifles. 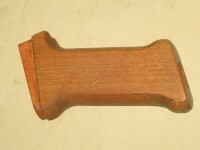 It has finger groov..
Hungarian AMD-65 / AK-47 wood pistol grip. There is absolutely no metal hardware included, so there ..
Magazine coupler for PMAG 30rd M2 and PMAG 30rd M3 magazines. Allows user more efficient speed re..
Magpul MIAD mission adaptable OD green pistol grip for AR-15 type rifles. ..
Magpul XTM modular OD green hand stop kit. It will work on any standard 1913 picatinn..
Romanian bayonet + scabbard for AKM type rifles. It is in fair condition with rough chewed..
Romanian bayonet + scabbard for AKM type rifles. It is in good condition, the handle ..
Yugo grenade launcher attachment/spigot. 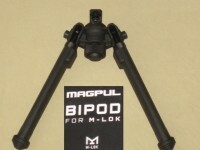 It blued steel, most are unissued and coated in cosmoline, ..
Magpul Bipod for M-LOK, new. 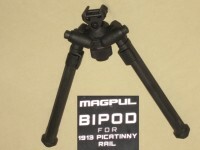 Black Finish Hard anodized 6061 T-6 Aluminum ..
Magpul Bipod for 1913 Picatinny Rail Black Finish Hard anodized 6061 T-6 Aluminum Fits 1913 Sty..
1 Magpul FDE magazine assist for 5.56/.223 magazines. Originally intended for aluminum 5.5..
1 Magpul foliage green magazine assist for 5.56/.223 magazines. 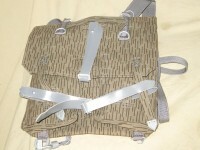 Originally intended for aluminu..
East German "rain drop" pattern camo backpack in excellent condition. It features a waterproof&..
German Walther P38 / P1 Flecktarn camoflauge holster. Excellent condition. Uses Bundeswehr attachmen..
Magpul ACS OD green collapsible stock for AR-15 type rifles with commercial buffer tubes. 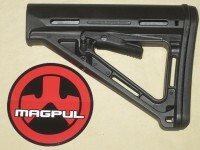 ..
Magpul ACS-L gray collapsible stock for AR-15 type rifles with commercial buffer tubes. ..
Magpul MOE K2 foliage green pistol grip for AR-15 type rifles. ..
Mission First Tactical AR-15 minimalist battlelink black collapsible lightweight stock for..